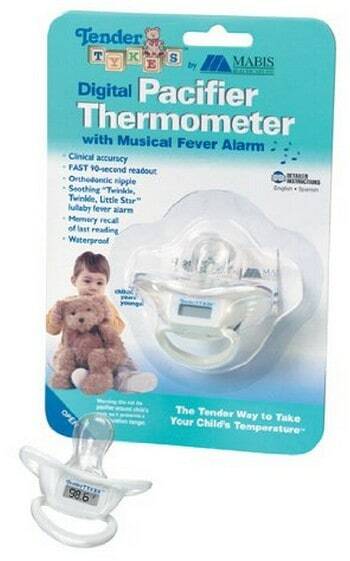 The Digital Baby Pacifier Thermometer is on sale for $5.00 at Amazon right now. That's 69% off the list price of $16.00! It is clinical accuracy, memory recall of last reading and waterproof design for easy cleaning. It is features include clinical accuracy, memory recall of last reading, waterproof design. It is self contained battery is covered for added safety. It is limited one year warranty.